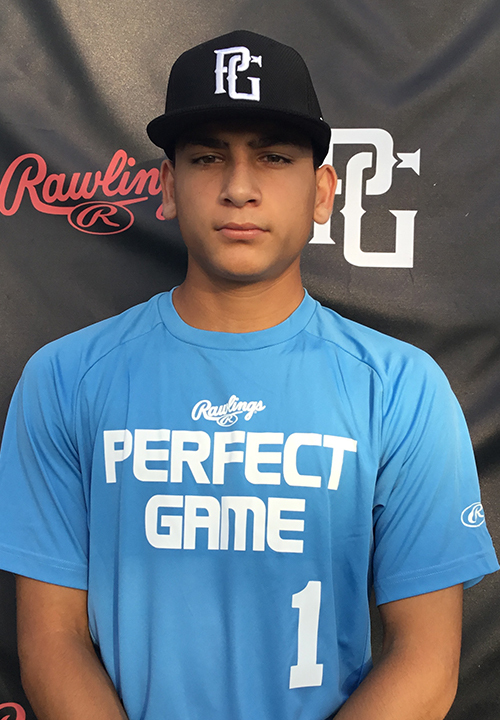 Rene Galvan is a 2022 OF/LHP with a 5-9 145 lb. frame from Sinton, TX who attends Sinton. Broad frame with present strength throughout build. Ran a 7.18 second 60-yard dash. Worked out defensively as a primary outfielder. Surrounds the ball well while staying light on feet and remaining balanced throughout. Works through the ball and able to maintain momentum during transfer. Strong arm into the infield topping out at 85 miles per hour. Lefthanded hitter with and even base. Hands work well through contact. Middle of the field approach with a high amount of barreled contact. Still developing jump off the barrel but really hits well with line drives to all fields. Named to the 2018 14U National Top Prospect List. Selected to attend the 2018 14u PG Select Baseball Festival.